At present the institute provides clinical services in various disciplines including Nephrology, Urology, Gastroenterology, G.I.Surgery, Neurology, Neurosurgery, Cardiology, Internal Medicine, Pulmonology, Reproductive Biology, Obs. & Gyan., General Surgery, Paediatric Surgery, Paediatric Medicine, Community Medicine. Dental, ENT, Regional Institute of Ophthalmology, Regional Cancer Centre (Cancer Treatment and Research Centre), Orthopedics etc. are providing specialized services in respective fields. Clinical services are backed by investigative services including conventional radiology, Ultrasound, Biochemistry, Histo-pathology, General Pathology, Microbiology, Video-endoscopy, Urodynamics etc. Institute provides emergency services to acutely all patients. It provides medical care to all patients who come to the hospital. Standards are influenced by patient load and availability of resources, which are generally strain. Yet we insist that all our users receive courteous and prompt attention. Indira Gandhi Institute of Medical Sciences, Sheikhpura, Patna - 800 014 is the premiere medical institute of the state of Bihar - established by the act of Assembly and functioning under Department of Medical Education and Family Welfare, Government of Bihar. Various facilities are being developed at this Institute to cater to needs of patients belonging to the state of Bihar and neighbouring states. 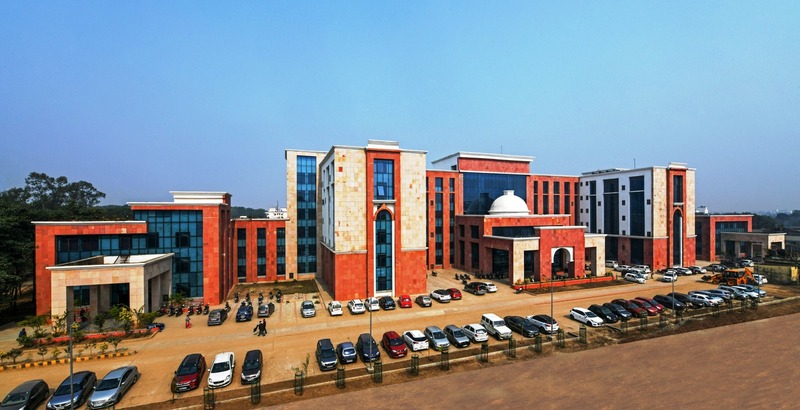 It is situated at sprawling 133 Acre campus in the heart of city with important landmarks of the city like Airport, Rajbhawan, Secretariat, Vidhan Sabha, High Court, Patna Junction Railway Station and Bus Stand being located within 6 kilometers of the institute. Being situated at Main Baily Road, it is easily accessible round the clock. Doctors wear white aprons and Nurses are in uniform. All staff Members wears identity cards. This counter is functioning at main OPD. indoor admission case sheet and issue of attendance pass. Telephone enquiries can be made over telephone nos. 0612 – 2297099 / 2297631.
a) Main emergency is located at Emergency Building adjacent to main OPD. All emergency Services are available round the clock. - Duty Doctor is available round the clock. - Specialist doctors are available on call from resident doctors. - Heads of Deptts, are available on call from specialist, if required. - Emergency Service is available of all specialties as listed in the OPD Services. - Emergency operations are done in OTs located on ground floor of OPD building. - Neurosurgery cases are being done at O.T. (Neuro O.T. Complex) located at 1st Floor of Ward Block. - Emergency operations theatres are functional all 24 hours. - In serious cases, treatment / management get priority over paper work like registration and medico legal requirements. - The decision rests with the treating doctor. Time of New Registration: 8:30 A.M. to 1:30 P.M.
Time of Service: 8:30 A.M. to 4:30 P.M. In OPDs Specialties are available for consultation. OPD Service is available on all working days excluding Sundays and Gazetted Holidays. On Saturday, the hospital functions from 8.30 A.M. to 12.30 PM. in their respective departments located at Poly Clinic Block of the Institute. There is a central collection centre for receiving and collecting various specimens for testing. The timings for receiving specimens are 08.30 A.M. to 01.30 P.M. Emergency laboratory services are available 24 hours for limited tests relating to clinical pathology and biochemistry. Routine X – Rays are done from 08.30 A.M. to 04.30 P.M.
Special X – Rays are also done on dates given for the particular X – Ray examination. Emergency laboratory services are available round the clock. · There are wards providing free indoor patient care. · Emergency Ward admits emergency cases for medical problems. · Emergency Ward admits emergency cases for surgical problems. · There is a 8 bedded Intensive Care Unit for care of seriously ill patients. · 8 bedded Intensive Coronary Care Unit takes care of heart patients requiring intensive treatment. · There are labour rooms for conducting deliveries round the clock. · Two nurseries provide necessary care to newborns – normal as well as those born with disease. · All indoor patients receive treatment under the guidance and supervision during office hours i.e. 08.30 a.m. to 04.30 p.m.
· Outside office hours treatment is given by doctor on duty and specialists are available on call. · Every patient is given attendant pass. · Visitors are allowed only between 05.00 p.m. to 07.00 p.m.
· Staff nurse is on duty round the clock in the ward. · Admitted patients should contact the Staff Nurse for any medical assistance they need. · Wheel chairs and trolleys are available in OPD and casualty. · Mortuary van is available on payment between 09.00 a.m. to 04.00 p.m.
· Stand-by electricity generators have been provided. · Chemist shops are available inside the institute campus. · Canteen for patients and their attendants is available inside the institute campus. · Adequate toilet facilities for use of patients and their attendants are available. · “Rainbasera” is available for patient’s attendants for cooking purposes. · “May I help you” counter working in the new OPD building (G.F.) for the help of patients. · There may be occasions when our services will not be up to your expectations. · Please do not hesitate to register your complaints. It will only help us serve you better. · There is a designated Officer whose name and location is displayed in the hospital for attending to all grievances. · Every grievance will duly acknowledge. · We aim to settle your genuine complaints within 10 working days of its receipt. · Suggestions / Complaints boxes are also provided at various locations in the hospital. · If we cannot, we will explain the reasons and the time we will take to resolve. · The success of this charter depends on the support we receive from our users. · Please try to appreciate the various constraints under which the hospital is functioning. · Please do not cause inconvenience to other patients. · Please use the facilities of this hospital with care. Beware of touts. · The hospital is a “No Smoking Zone” and smoking here is a punishable offence. · Please refrain from demanding undue favors from the staff and officials as it encourages corruption.